It’s finally here, Brett’s Dirty Thirty!!!! Listen Lady, I’ve waited with patience and counted the minutes till I could announce that Brett has now started his 3rd decade on this earth. 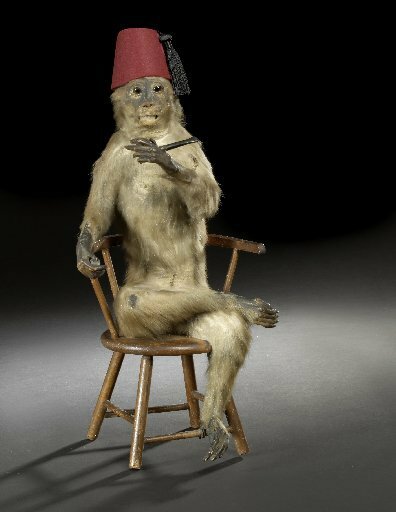 Each time I get to say that I do a little clap, ya know like those street performer monkeys who clap really fast and wear the fez hats. Internet, let me tell you about how we started off our birthday adventure. After we had dropped Cardin off at my parents house, we were driving down their slush covered street. The temperatures had warmed slightly and the snow was starting to melt. Another car was approaching us and the driver had their window rolled down because they were smoking a cancer stick. As our car’s passed each other, we hit a huge slush pile and the tires from our car kicked slush so high that it shot, ever so accurately, directly through the drivers side window and pummeled the driver right in the face. I don’t think I could have been more accurate with an actual snowball. Since I was in the passengers seat I didn’t have quite a clear view of this incident, but Brett got the full peep show. After his car had chucked a slush ball at the woman’s face he deicded his best option was to just keep driving. Didn’t stop, didn’t slow down, just moseyed his car right along as though he had not given the poor lady a face full of slush. We made it through customs in an uneventful fashion, though the customs agent asked us what we do for a living? Does that matter? Do you really expect someone to be all “well, I make bombs” or “well I’m the project manager for evil terrorists threats”? Over the next couple days we lost money at the casinos, slept, did some shopping (most of which was for Cardin), and just walked around to look at the falls. Mostly we did nothing that required advance planning. Also, there were two occassions where we were eating a lovely meal and some child sitting within ear shot let out a burp/gag. You see, the ability to eat a meal without the presence of this burp/gag and the resulting vomit was one of the main points of our trip, but it seemed to be following us. It was as if it was taking on it’s own life-form, haunting our every meal. It freezes us, we stop chewing, and our eyes start darting around as though we were being interrogated. We hit up the hotel bar last night around 10 ish so that we could ring in Brett’s acutal birthday at midnight. We tossed back a few drinks, most of which were free because people kept ordering beer and sending them back or the bartendar “accidently” mixed too much. We got a delicious oreo cookie desert thingy, although Brett would not let me put a candle on it and sing “You are the wind beneath my wings”. I’m still not sure why. We are heading to duty free shortly and then headed back. We miss Cardin and people say ‘eh’ constantly. You know how many times we’ve heard that sentence ender? Oh and my other favorite…when people ask you where you are from and then they are all “oh RoDchester, yea you can just jump on ‘the 90’ and be here in like a hour”. I cringe and want to slap them for saying ‘the 90’ like its an object that has emotions and a soul. At least the canunks call it Pop or I might have a small seizure when I listen to them talk. There is more celebration planned, but for now we’re off. Happy Birthday Brett.